A controversial law enacting state-level gun dealer licensing in Illinois is reportedly forcing some shops, saddled with expensive new regulations, to close their doors. The measure, signed by newly-installed Gov. 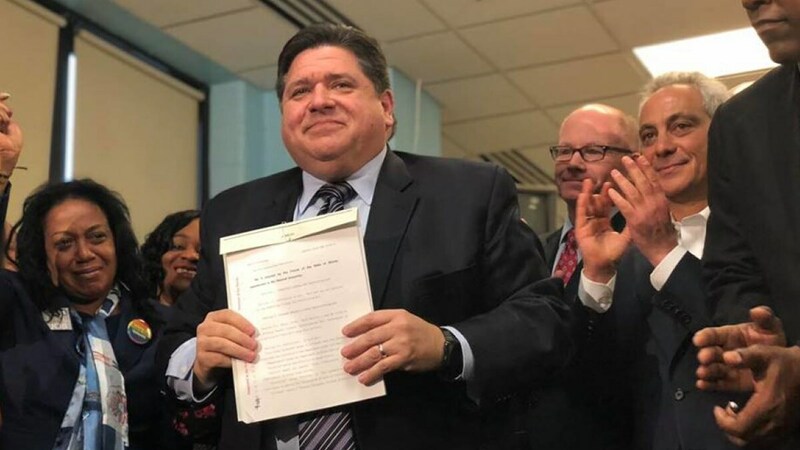 J.B. Pritzker, a Democrat, had in the past been vetoed by Republican Gov. Bruce Rauner as being “largely duplicative” with little likely impact on crime. Under its language, the law directs the state police to issue certifications to gun shops on a sliding fee — $300 for an FFL without a retail location, up to $40,000 for those with multiple ones — and requires such dealers to meet a series of new requirements including annual staff training, instituting a gun storage plan and allowing inspections by local law enforcement. During the new law’s legislative process, firearms industry groups and gun rights organizations repeatedly argued that the plan could see gun shops unable to dig deep for additional fees and security “forced to close through oversight by anti-gun appointees or being priced out of business,” and in some respect, those fears are now validated. Similarly, Mick Moore made much the same decision to close Walnut Creek Shooters Supply in Brownstown, telling the Illinois News Network that the added mandate for an expensive camera system and the specter of more hoops to jump through has him leaving the business. “I’ve fought it and fought it but I’m just not up to the fight much longer,” he said. A state gun store trade group, the Federal Firearms Licensees of Illinois, said they are keeping all legal options open. Elsewhere in the country, efforts to implement layers of local oversight on firearms dealers who already comply with strict federal regulations have pushed shops to close rather than comply with increasingly restrictive control, for instance leaving the city of San Francisco without a single legal gun store since 2015. Meanwhile, mandatory taxes on guns and ammo in Seattle have triggered FFLs to flee the city for the suburbs in an effort to preserve their businesses. Nonetheless, Steve Krause, who owns The Bunker in Richland, Washington, told KEPR recently he intends to pull stumps altogether for more gun-friendly Arizona after a sweeping new gun control initiative was enacted in the Evergreen State this year. “My beliefs and what I think is right and wrong don’t align with what Washington state is passing for laws so I’m going to go somewhere that’s safer for my family,” said Krause.